It’s coming up to Valentine’s Day – that time of the year when we’re expected to go all squishy-gooey-romantic and woo the person of our dreams. The secret love cards, the over-priced bouquets of roses, the chocolates, the heart-shaped balloons, the cuddly toys holding ‘Be Mine’ signs… it’s an overload of sickly-sweet emotion. And I love it! Yep, your pink-haired columnist is a crazy romantic at heart. I’ve pulled all kinds of stunts for my wife over the (almost) 21 years we’ve been together. I arranged for a giant, white cuddly gorilla, holding a heart, to be sitting in her chair by the time she got into the office one morning. I bought an eternity ring, then carefully separated a chocolate Kinder Surprise egg, put it inside, then sealed it all up again and presented it to her. I booked tickets on the Orient Express. I’ve serenaded, champagned, rose between the teethed and romantic mealed my way into the Valentine’s Hall Of Fame. If it existed, I’d be there. I’m sure of it. Which is all well and good, but I still think there’s something really important we’re forgetting – not just on February 14, but all year round. Whatever our relationship status, whatever we feel about moonlight and roses, most of us could really do with loving ourselves a lot more than we do. I’m not talking about ego here. I’m not even talking about the external stuff. 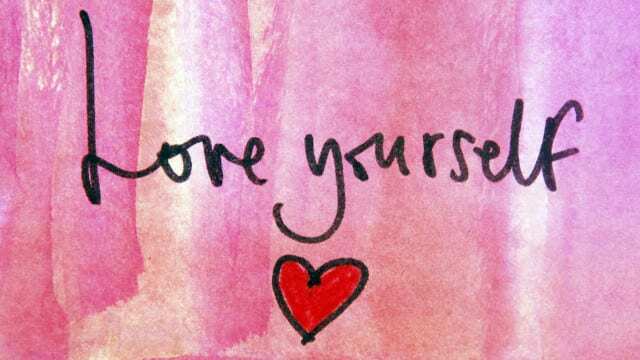 I’m not talking about the Botox and fillers and primping and preening and labels and top-up tans that might make others say: “Wow, they love themselves a lot!”. No, no, no. Do as much of that stuff as you like. Knock yourselves out if that makes you feel good. What I’m talking about is what’s happening on the INSIDE! How well do you really know yourself. 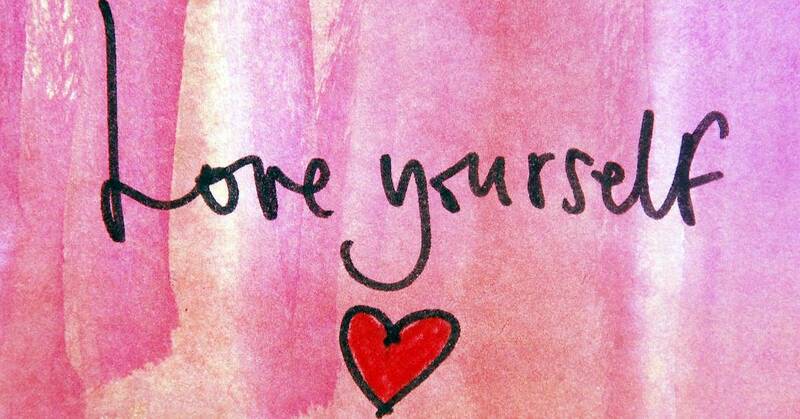 How much do you really love, value and appreciate yourself, warts and all? How often do you take the time to listen to that little inside voice and connect to the essence of YOU? What do you need to feel nurtured, valued, loved? Not from anyone else, but from yourself. What does that little child element of yourself need from the adult you’ve become today? What does your inner teenager need from your grown-up self? What does that young adult need? What about the mother? The father? The lover? Even the fighter? Every element of YOU, at all stages of your life, is still living inside you somewhere. Every experience. Every moment. Every stage of your life. They all make up the you of today. How much do you love them all? When you’re experiencing stress, anxiety, upset, try tuning in and asking where it’s coming from. Which part of you is hurting? Is it the you of five years old who was scared to go to school? Tune in. Have the conversation with yourself. What does that five year old need to feel confident? What can you do? How can you nurture and reassure that part of yourself? Do you need to remind them how far you’ve come, that you’re a grown up now and have all that life experience to help and support them? Is it your 14 year-old self, feeling heart-broken for the first time? What do they need to hear from you, in your wise, adult energy, to help them feel loved, attractive, enough? Is it the young parent living inside you, who just didn’t know what to do with a new baby? With all the extra responsibility? Tune in. What could you say to that part of yourself to neutralise the overwhelm? Sometimes our emotions don’t make sense to our brain. We can’t understand why we’re feeling that way. So just try this. Try tuning into every part of your being. Where does that feeling come from? When do you first remember experiencing it? Who were you then? Does *that* part of you need some tenderness, some reassurance, some love? We need to be far more aware of the language we use against ourselves too. How many of us regularly berate ourselves? We tell ourselves we’re too fat, too old, too stupid, too unfit, too lazy… fill in your own words here. Whatever negatives you tell yourself, I want you to stop. I want you to realise what you’re doing, notice the energy you’re throwing at yourself, and I want you to give yourself more respect. I want you to love yourself more than that. If you wouldn’t allow anyone else to speak to you in that way, I want you to apply that rule to yourself. And if you *would* let people talk down to you, I want you to learn to love yourself enough that you stop allowing the slap downs. You are worth more than this. I promise you. You are beautiful. You are worthy. You are valid. You are enough. You are MORE than enough. You are perfectly you and perfectly placed, exactly where you should be in this moment – including reading this column and absorbing the life lessons right now. Some years ago, a friend of mine realised she hadn’t been giving herself enough love. She had an epiphany moment and realised that she wouldn’t be able to attract the perfect partner, the perfect life, the wonder and abundance she wanted, until she learned to utterly love and accept all aspects of herself. She began to do lots of work on herself, lots of deep soul-searching, meditation, self-nurturing, love, acceptance, respect… she did everything she could to truly live – and love – in alignment with the authentic essence of who she was. When my friend was ready, when she’d fallen in love with herself in the best way, she went out and bought herself a beautiful ring. She took herself off to a sacred place, she spoke her words of love, and she committed to be ‘married’ to herself – not to the exclusion of others, but more to make promises to herself. She committed to love, respect and cherish herself, always. My friend put that ring on her finger and, from that day onwards, it acted as a power-full reminder to give herself all she deserved, to protect her heart, to have boundaries in place to keep her energy clean and bright, to love herself at all times. For some of you, that might be a step too far, but it sure worked for my friend. Everything started to align for her a little more easily after that. You might not want to buy yourself a ring, but let’s go back to those flowers, the teddy bears, the symbols of love. Instead of waiting and hoping someone might shower you with gifts this Valentine’s Day (or, maybe, as well as), why not buy YOURSELF the roses? Sure, show your love for your partner, but love yourself a little more too. Give YOURSELF a big, romantic gesture. Do something to remind yourself how much you’re loved, by you, from the inside out. Remind yourself that you respect yourself and cherish every element that makes up the wonder of YOU. Buy the roses. Take them home. Put them in a vase. And smile. Every time you look at them, remind yourself that you are perfect and loved, just as you are.